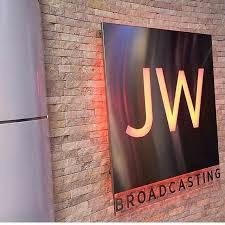 After the beautiful and very encouraging broadcast from last month (January), all of us now are in the wait for the next program - the February 2016 broadcast of JW Broadcasting. More or less, it will be available on Monday, February 1, 2016. What can we expect for February? Well, the only thing we know is that it will be hosted by a helper to the governing body. (Stephen Lett [of the GB] was the last one to host JW Broadcasting.) Whoever the next host is, we don't know yet. But we are excited! We have a lot of things to be excited about: the theme of the talk, new video presentations, experiences of our brothers, new light(?) and the much anticipated music video for February. All of those will be revealed when the next program was released. Don't worry, we got you covered. Everything you need with regard to the songs and lyrics will be posted here. All we need is patience for now. Take care brothers and sisters!